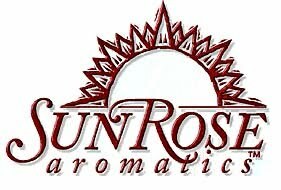 SunRose Aromatics: What's in that bottle??? Essential Oils: What’s Really in that Bottle? One of the very first lessons I learned in my aromatic journey was 'know what to ask for'. Being curious, I asked, ‘what exactly does that mean?’ The reply (from my professor at Purdue, Jim Simon, currently at Rutgers)… “Know how to identify what it is you want to purchase”. Even today, when some customers call, they are still not educated on what are the differences between essential oils, absolutes, resins, carrier oils, infused oils or fragrance oils. Allow me to shed some light on this. An essential oil is a product obtained from natural raw material, either by: distillation with water or steam or from the epicarp of citrus fruits by mechanical processing, or by dry distillation. They are concentrated extracts and should never be used ‘neat’ (directly) on the skin. The flowers, leaves, bark, wood, roots, entire plant or fruit peel. Vegetable oils work to benefit skin and health. They are produced from nuts and seeds, producing oils, butters and fats. For example: Sweet Almond, Sesame Seed, Shea butter, etc. 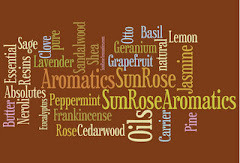 Essential oils are typically blended with some type of Carrier oil before applying to the skin or a skin care product. Fragrance oils are made out of synthetic material. This came to pass because an essential oil scent would vary from year to year depending on the weather conditions. (Too much rain, too little rain would stress the plant which would effect the scent). Especially for the perfume industry, they needed to ensure that the scent was identical every time they produced a fragrance. More and more the trend today is to ‘go back to basics’. This is one of the reasons why Natural Perfumery is making such a big come back. So, you’re looking for a certain essential oil? The ‘botanical name’ and ‘country of origin’ are what identify the essential oil you are looking for, it’s 'fingerprint' if you will. The scent will vary due to country of origin. The above not only have different countries of origin, but also have different botanical names, be sure to identify the product you are looking for as it will affect the scent of these materials. The examples above show - ‘what you want’, ‘what is in the bottle’ and knowing the botanical name is crucial. Which 'chemo type' do you require? * sesquiterpenes and their derivatives. We can get into some chemistry here, however, for the purposes of this article this is an overview. It would be advisable to get to know the different properties and why you would choose them. Essential oils with Linalool are found in coriander seed, lavender, clary sage, and linalool chemo type of thyme. • vasoconstrictive properties i.e. 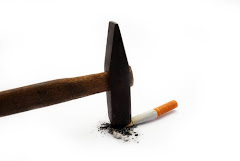 menthol, linalool, geraniol can make the site of application feel cold. • Farnesol found in i.e. rose and chamomile is an excellent bacteriostatic. It is well suited to skin care and deodorant products, as it is know to inhibit, rant than kill, growth of bacteria. • stimulants to the immune system. What else would be helpful in purchasing your essential oils? - Distillation date – when the material was actually distilled. Some essential oils have a longer shelf life then other. Be sure to store properly (cool, dry, dark areas) and tightly close the cap to extend shelf life. - ‘Batch’ or ‘Lot’ number is important if there is an issue with the order. However, not always available. This way the seller can pinpoint the batch and identify it more readily. (If this is not available, the distillation date will help). - Organic – You should be given the certifying program (i.e. Ecocert, NOP, etc). This may vary from country to country. Some customers prefer only organic, other have no preference at all. Cost is a factor, due to organic oils being more costly. (do to all the strict farming laws and paper work). As a side note: I would prefer all citrus to be organic if possible. The oil for this is cold pressed from the rind where the pesticides are sprayed. The key is to be an informed buyer. Start a sample box. Samples are important to compare different country of origin, and different suppliers. As well as different years. I have aged Patchouli from 2000 that is wonderful, as you know; some oils just get better with age. Breathe in the wonderful aroma and know that you 'get what you ask for'. Hi, I enjoyed your recommendations. Thank you! Good article, Roe! Spent a half an hour on the phone with a disappointed client today. She ordered 2 four oz bottles of Macadamia Nut oil. (A cold pressed carrier oil; odorless.) She was so terribly disappointed, she thought she had ordered Macadamia Essential Oil. No matter what I said, she was NOT going to believe there is no Macadamia Essential Oil. She had some years ago, so she knows it exists, I just haven't bothered to source it. SunRose Monthly Give A Way! Rosanne Tartaro here .. Welcome to my Blog. Hopefully, this will be a place where you will visit often. A little of this & that, sharing of information, ideas, thoughts. Essential oils and using natural products are my passion. Thank you for visiting, please stop back often.